How much social wokeness can you expect from a Christmas story by Dr. Seuss? Reboots and retellings are nothing new in pop culture. But there seems to be something afoot in retreads of recent years: a meticulous effort to keep the spirit of their original sources. Even sequels like Creed, Halloween and the upcoming Mary Poppins Returns feel like retellings for how closely they hew to the plot beats of their originals (the trailer for the Mary Poppins sequel even comes with its own two-dimensional cel animation of dancing penguins). The trick, then, is threading the needle between nostalgia and freshness. Creed did it via race, Halloween did it via female empowerment—does this retelling of The Grinch have something essentially different to offer? Of course not. How much social wokeness can you expect from a Christmas story by Dr. Seuss (apart from the participation of pop star Pharrell Williams as the narrator, which may or may not be the result of an inclusion rider in the contract, but which also results in some weirdly flaccid narration)? The story is still the same: The green-furred and persnickety Grinch (Benedict Cumberbatch) contemplates with irritation the warm, fuzzy excitement that Christmas generates in the town below his mountain aerie, Whoville. He plans and executes a heist of all the town’s gifts and holidays trappings—all the while experiencing a gradual evolution in his thinking—culminating in his encounter with little Cindy Lou (Cameron Seely), whose selflessness and innocence push him to a complete change of heart. Directors Yarrow Cheney and Scott Mosier have the unenviable task of finessing this slight tale into another feature-length movie (at least the beloved 1966 made-for-TV movie had commercials to pad its running time). They mostly do this by adding outlandish stunts, a harmless subplot here and there (like the search for a reindeer for his purloined sleigh), and imitation Dr. Seuss doggerel (delivered by the aforementioned Williams). But unlike Ron Howard’s critically reviled live-action retelling featuring Jim Carrey back in 2000, Cheney and Mosier recognize that adding more might actually be less. They’re not setting up the Grinch to be an over-caffeinated lunatic trying to pry laughs from you with a crowbar; this time, the Grinch’s loneliness and isolation are front and center. There’s a joke-free stretch that establishes his orphan backstory, and the gags that illustrate the Grinch’s psychology are smart and well-placed, such as a binge-eating montage and a sequence where he plays “All By Myself” on his spaghetti-like pipe organ. Benedict Cumberbatch follows this less-is-more aesthetic with an adroit, American-accented voice performance. 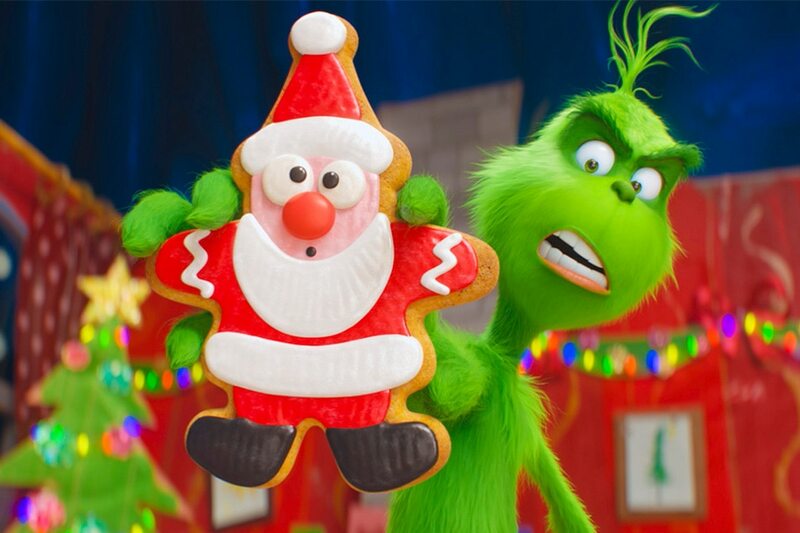 His Grinch isn’t cartoonishly diabolical, only miffed and frustrated, a relatable portrait of how we can all act out when our feelings are bruised. 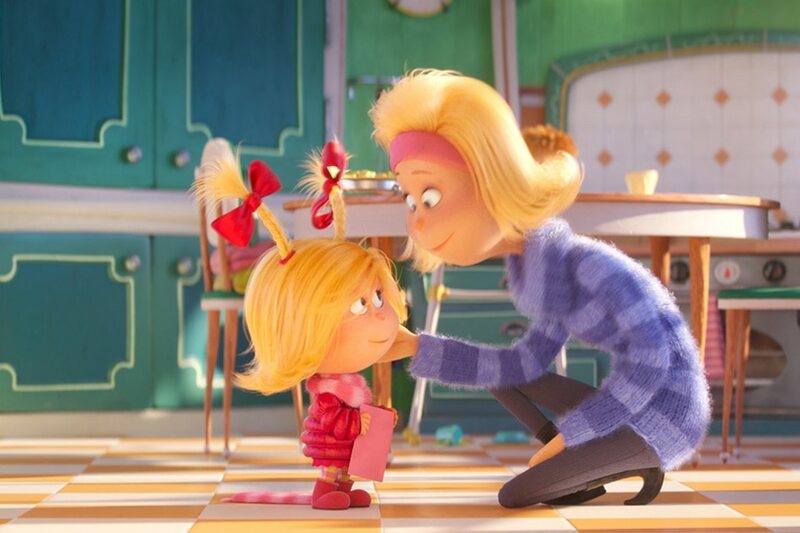 Most importantly, he gives you a sense that, even though he lives isolated from it, Whoville is a part of who he is—and therein lies the key to his salvation. 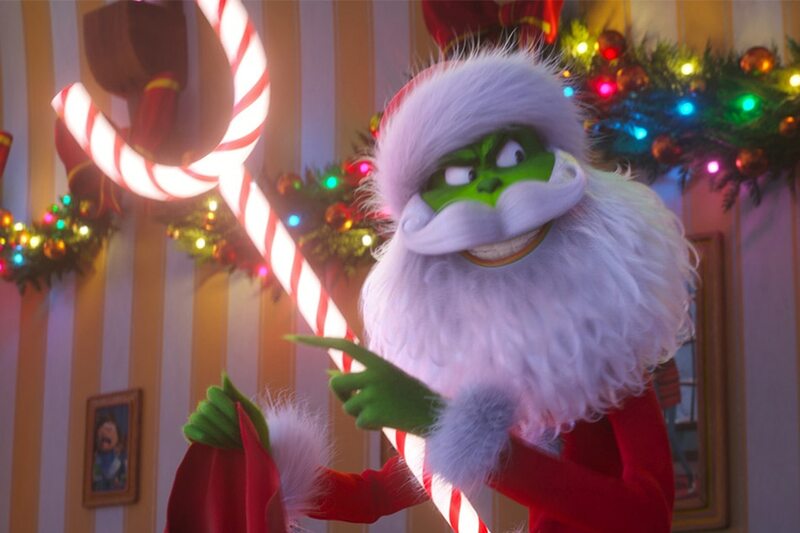 The Grinch will be a fun diversion for your kids right before Christmas, but for those of us who’ve read the book and seen the 1966 movie in ‘70s reruns, it’s a sleek and shiny way to bask in some nostalgia.